The professional cleaners at One-Off Cleaning will make your house in Hainault look like a postcard home. Your dreams of a meticulously clean, visually pleasing, nice-smelling and picturesque house will come true! Whether you have a small and cosy house hidden in the remotest woods or a big family house with plenty of rooms that need thorough cleaning – we have exactly what you are looking for, because let’s face it, there is nothing better than professional one-off cleaning at a low price. Forget about the expensive detergents and the long hours of hard rubbing of stains with unsatisfactory results. Instead, call us on 020 3397 3282 to discuss more details about the condition of your house in IG6 and tell us about the flawlessly clean house of your dreams. For move out cleaning in Hainault IG7, we have all the necessary methods, tools and professional machines to ensure the best results that meet all your expectations and even exceed them. The expert one-off cleaners of One-Off Cleaning will pay attention to even the smallest details, but we know how to apply the best sanitizing solutions for the biggest and most difficult to clean objects too. Getting your deposit back at the end of the tenancy will be one step closer and the landlord will be left with a good impression of yourself as a tenant. Even if you call us in the last moment, we can act immediately and efficiently with our same-day services. Don’t hesitate to ask any questions about carpet cleaning by calling us on 020 3397 3282. This is one of the most difficult areas of one-off cleaning, but we can make it look easy. This is all due to our miracle steam clean equipment, which eliminates all the invisible bacteria, microorganisms and pollens, as well as typical spots and spills on the carpets. Our professional crew based in IG6 and our specialised machines provide unsurpassed results and the best value for money, because the water and energy consumption is very low. On the other hand, the large surface coverage is another one of the great advantages of this method, which means that in only a few hours we can clean all the carpets and rugs in your house in Hainault. Hainault is located in the beautiful eastern outskirts of the Borough of Redbridge, in North East London, so there are beautiful and scenic places to escape for a while everywhere around. Enjoy a relaxing walk or a picnic in Hainault Forest Country Park or Epping Forest with your family and friends. 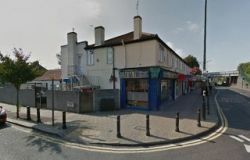 Dine in a remote family restaurant or go explore the Downtown with the easy connections from the Grange Hill and Hainault tube stations. There are so many things to see and do in Hainault and the nearby areas. Call us anytime on 020 3397 3282 to book your appointment with one of our skilled teams. Reserve your spot for one-off cleaning today, before our special offer expires. We have a team of cleaners with many years of experience on the job. They can assess your requirements, and even tailor the perfect service for you just by talking to you on the phone. Save money and time with our deep cleaning services – now the residents of IG6 and IG7 can take full advantage of our special surprises, such as seasonal discounts, free booking cancellation, free gifts with purchase, and more.